The Marche region, sits between the beautiful Adriatic Sea and the Apennine Mountains. The kitchen leads out to a large terrace (can comfortably seat up to 10 people) where herein also lies the value of the property in the incredible panoramic view of the surrounding countryside and hills that stretches out before you. 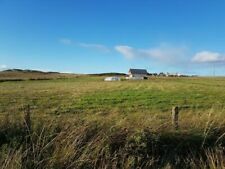 The property is located in the beautiful Caithness region, between the quiet town of wick and Lybster. The property is to be made fully of grid. The property also has a 36 foot underground poly tunnel for growing crop in a hydroponic system. 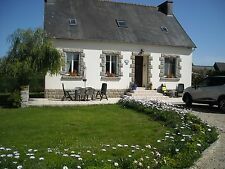 4 bedroom detached house ( 150sq m habitable area, total land 7590sq m)with small (0.23ha 0.56 acre) fishing lake (mainly carp) in a small hamlet in the Sw of France (Limousin) 30 minutes from Limoges airport. ( to finish). its 'First fixed', to be finished off. Undercover lock up parking . Undercover parking and another parking just outside. Ready to move into and live in. Perfect location Just off the village centre ,compact but functional, modernized but keeping the charm of the region. 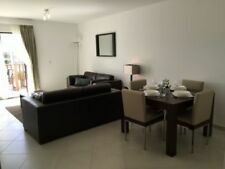 Two-bedroom fully furnished property only 700mt from beach and town with full seaview from every room. Every bedroom and lounge has an inverter A air-condition. All the furniture is top quality and high standard finishing. The stairs lead to the 2nd floor where there is a double bedroom with balcony, a single bedroom and a bathroom. The roof terrace provides a 360 degree views of the panorama from the mountains to the sea. Delyanovtsi is a village situated in the Central part of Northern Bulgaria, Veliko Tarnovo region, 11 km north from town of Levski and 46 km east from town of Pleven. Danube River and respectively the Bulgarian - Romanian border are 35 km away. IT IS A FEW MINUTES DRIVE TO THE A-7 MOTORWAY WITH LINKS TO OTHER COASTAL CITIES INCLUDING MALAGA, MARBELLA, TORREMOLINOS, BENIDORM ETC. IT HAS SEA VIEWS, WELL-KEPT COMMUNAL GARDENS AND SWIMMING POOL AND IS IN AN IDYLLIC LOCATION WITHIN A FEW MINUTES WALK TO WHITE, PALM-FRINGED, PEACEFUL BEACHES AND A FULL RANGE OF SERVICES. Three stairs need reseating. The Pla De La Font is renowned for its mountain fresh water that is free from impurities such as chlorine and other toxic chemicals. Electricity is very reasonable as is the water bill. The area around Charroux is fantastic for outdoor pursuits there is also a large and welcoming ex-pat community. Ground floor: fully-fitted kitchen 3.6 x 3.3m with built-in gas hob, electric oven, fridge-freezer and microwave; Lounge 6.1 x 3.3m with French doors to a full-length balcony; Dining room 3.2 x 3.3m with parquet floor and french doors leading to patio and rear garden; Bathroom with separate wc; Bedroom-3 3.2 x 2.9m; Study/bedroom-4 2.9 x 2.1m. Casalbordino is a coastal town on the Adriatic Sea, within the Province of Chieti of the Abruzzo region of central-eastern Italy. Casalbordino is surrounded by olive trees, vineyards and orchards. LaVita Properties Italy work in association with ARE Estate Agent as interpreters & consultants. Everything is included, kettle, toaster even a sandwich maker, Theres even a safe installed to keep valuables safe. I also fitted the rainfall shower and curtain, anti mist sink mirror and vanity light, glass shelves etc. The coast of Varna and Sunny beach as well as the ski resorts in Bansko and Pamporovo are all only a few hours drive away from Veliko Tărnovo. The closest airport is Sofia airport. Airports also in Sunny beach and Varna. Town House with Garage & New Roof. The property benefits from a new roof. There is a also a garage on the ground floor of the property. This property is situated in the town of Torricella Peligna on the edge of the Maiella National Park. This is a sale (price reduced by £12k) of a narrowboat (a house boat) for £19800. Boat is fully ready to move in and live. Sold as seen on photos. Space has drawers and storage space under the bed. Great location to the beach 10 minute walk. Security entry full access to the communal pool. More pictures available if requested Buy now for £65000. Completed and ready to furnish. Good rental opportunity or Personal Use. Supermarkets, Cafe, Bars are in short distance. Bourgas the main town & port. is 20 minutes away and within driving distance to Bourgas international airport. There are direct flights from Birmingham. Manchester & London. his is for your peace of mind & too show this is genuine sale & NOT A SCAM. NOW REDUCED FOR QUICK SALE BARGAIN GROUND FLOOR GOLF APARTMENT SPAIN !!!!!!! The block has just been painted and looks fab. Includes white fridge freezer and washing machine in kitchen. We have a solicitor in Los Alcazares who speaks perfect English, is very thorough, and you could be using this within the next few weeks. Varna Airport is 20 Minutes away, the beach is approx. VERDEMAR 2. A lovely bright townhouse situated in Verdemar II in Villamartin opposite the golf course. Set over three floors this property has 3 bedrooms and 3 bathrooms plus lovely balconies giving stunning views. Sea Front Investment Property North Goa India . £50k Below Valuation. Has open plan lounge and kitchen on the top floor with full far reaching views over the ocean. A truly Fantastic location, unlike any other you will find anywhere in Goa. Large balcony which can accommodate table and chairs to sit out and take in ocean views, overlooks the swimming pool below. The flat is on the first floor with the balcony overlooking the swimming pool. The area is newly built with a couple of supermarkets and pubs nearby. There is 24 security in the building. Airport is only about 15 minutes drive from airport and 20 min from city centre of Hurghada. 5 minutes to A75 motorway. Recently refreshed and ready to move in including all furniture if required. Pretty Salon with beams, balcony and open fireplace. Phone connection. The community has two pools and one children's pool. Well maintained community. Beautiful walks can be made in the surrounding area. About 7 minutes drive down towards the A7, international school, supermarket and bars-restaurants, within 10 minutes you reach Puerto Banus, Marbella centre is 15 minutes away. Apartment For Sale Rauris, Austria. Price Dropped By £50,000 For Quick Sale. Stunning views of the Sierra De Baza. Granada Airport is 1 hour 15 from Baza. there is also the wonderful Lake Negratin with beaches and bars. IN A BUILDING (2ND & 3RD FLOOR). THERE ARE NO CONDOMINIUM COSTS/FEES. IT CAN ACCOMMODATE UP TO 8/10 PEOPLE. THERE 3 NATIONAL PARKS TO ENJOYED AROUND THE VILLAGE. The Mazzara Palace, at the top of the village, hosting inside the Pinacoteca Fortunato Bellozzi. Invest into property without the hassle. Invest into a loan note. FCA authorised Security trustee to protect investor interest. INTEREST FREE!! HOME- OWNERSHIP- DEALS!! ZERO- DOWN!! A BUILDERS DELIGHT! !